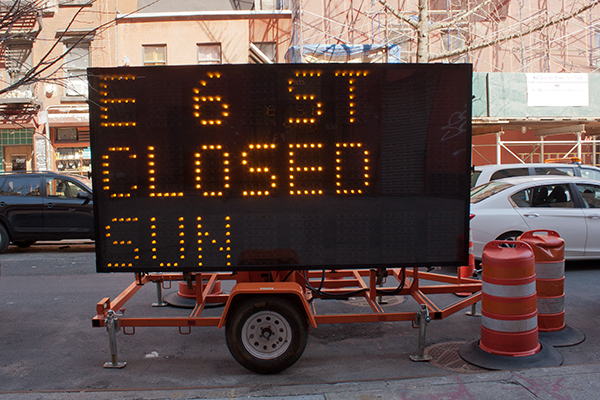 E 6 St Closed Sun sign. As you can see, however, the sign is against the curb, parallel to traffic! 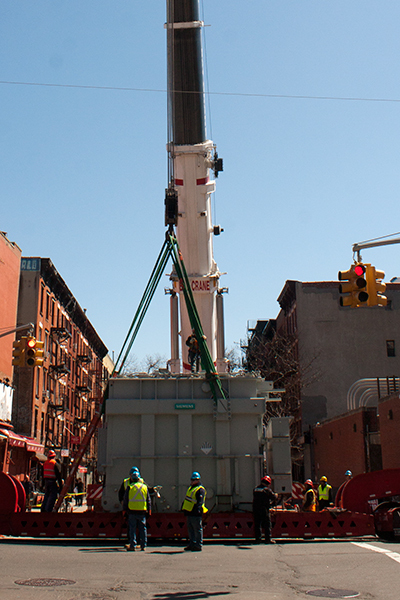 Large crane preparing to lift transformer. 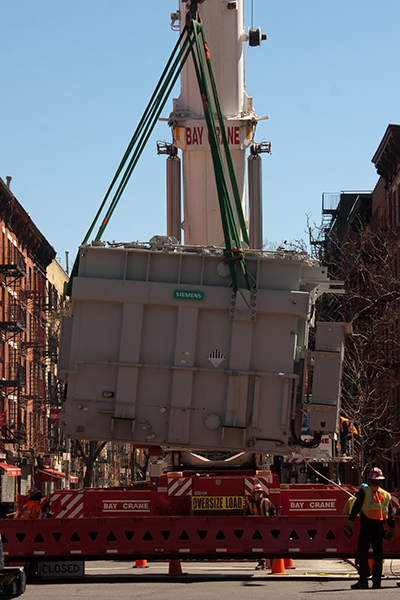 Remember to call Bay Crane for all your transformer-lifting needs! i like hallamore cranes - they have that colorful orange white scheme. Yeah, I do like an orange crane!